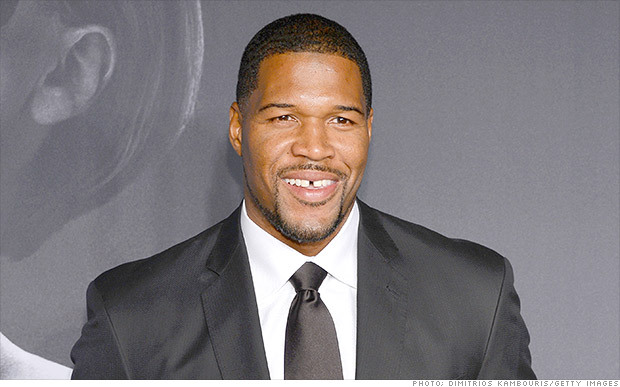 Michael Strahan is on the verge of joining the cast of ABC's "Good Morning America," people with knowledge of the network's plans say. Strahan, the former New York Giants defensive end turned media star, won't be replacing any individual. Instead, he'll be an addition to the top-rated show, popping up in various segments starting at 7 a.m. before shuttling one mile north to the talk show he already co-hosts at 9 a.m. with Kelly Ripa, "Live with Kelly and Michael." The ABC News executives who oversee "GMA" have been holding talks with Strahan for months. Strahan's role could be announced later this week, the people said. They insisted on anonymity because the news had not been made public by ABC yet.